Dorothy, married Cyril Dougall North, son of Cyril Vincent North and Isabella Swanson. An autopsy found multiple fractures of the vault of the skull. 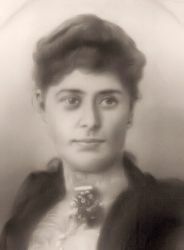 In 1919 Mary wasliving at Chicago, South Australia , according to the notice of marriage of her daughter, Edith Mary Jane, to Charles Thomas Smith. [S194] Verified by Daryl Edmonds As cited above, Birth Certificate or Record (As quoted). [S213] From Trove database South Australian Register (Adelaide, SA : 1839-1900), Monday 3 September 1883, page 7. He was called Tom by family and friends. On Thursday, 20 July 1916, at Fleurbaix, in the "vicinity of Fromelles", Nord-Pas-de-Calais, France , Tom was reported as "wounded and missing in action" but at a Court of Inquiry held "in the field" on 12 August 1916, he was pronounced "killed in action". He was 33 years old. V.C. 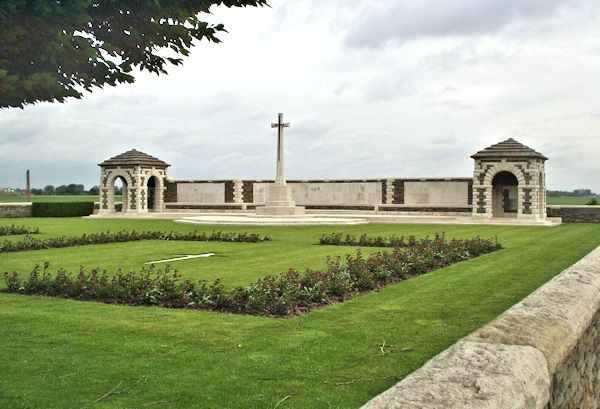 Corner Cemetery is the only uniquely Australian cemetery on the Western Front. It was formed after the Armistice and contains the graves of 410 Australian soldiers who were killed during the Battle of Fromelles in July 1916 and whose bodies were found on the battlefield. As none of the bodies could be identified, it was decided not to mark the individual graves, but to record on a memorial the names of all the Australian soldiers who were killed in the engagement and whose graves are not known. Many of those originally listed on the memorial were subsequently identified and re-interred at Fromelles (Pheasant Wood) Cemetery. [S119] Australian Electoral Roll, date as recorded above. George Haines was born about 1840, son of Richard Haines. On 4 April 1877, George, married Mary Ann Haines, aged 18, daughter of William Haines and Mary Ann Bott, in the Registry Office in Gawler, South Australia . On 4 April 1877, Mary, aged 18, married George Haines, son of Richard Haines, in the Registry Office in Gawler, South Australia .